I didn’t realize how much I loved crafts until I had children. I know my kids enjoy making art but I think I love it more. It’s relaxing and I always feel accomplished after we make something, even if it becomes a huge Pinterest fail! I searched Pinterest for some easy Valentine’s Day craft ideas and found some I think you’ll all love too. I tweaked all of them to fit the needs of the supplies I had, but they still came out great! If you have limited craft supplies, you can still do these. 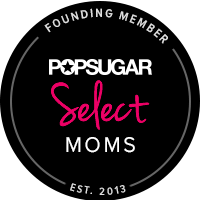 I promise, you will not need to run to the store to buy a glue gun or pipe cleaners! I picked this craft because my four year old really enjoyed the apple printing craft we did in the fall. 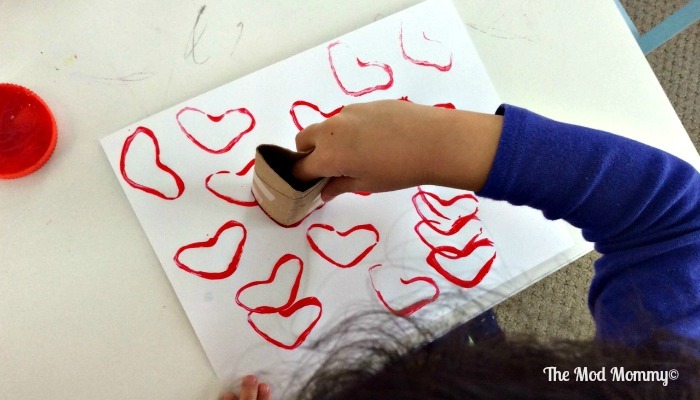 This is very similar, except in this case, you use a homemade heart stamp out of a toilet paper tube! Flatten the cardboard tube so it had a crease on two sides. Push one crease inward to make a heart, and wrap some tape around the tube to help the heart hold it’s shape. 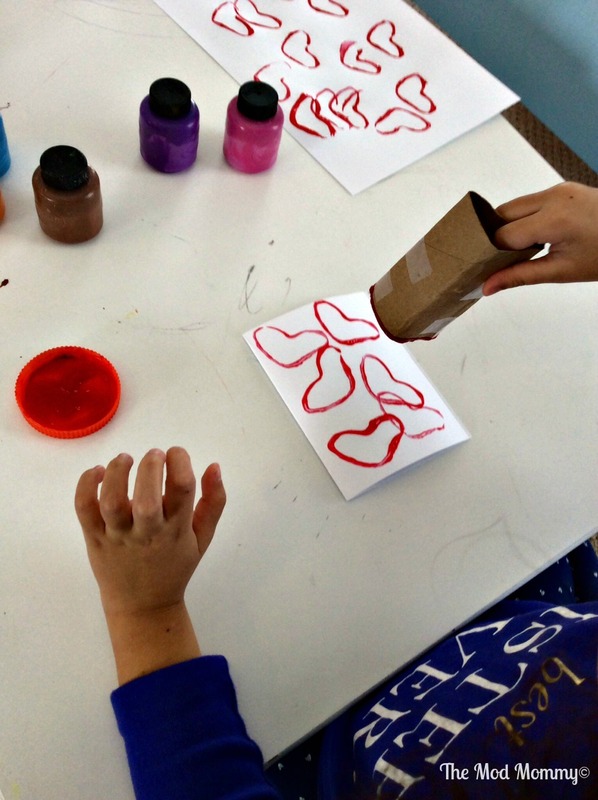 Dip the tube in paint or glue and start stamping. If you use glue you can pour glitter on it and then shake it off. 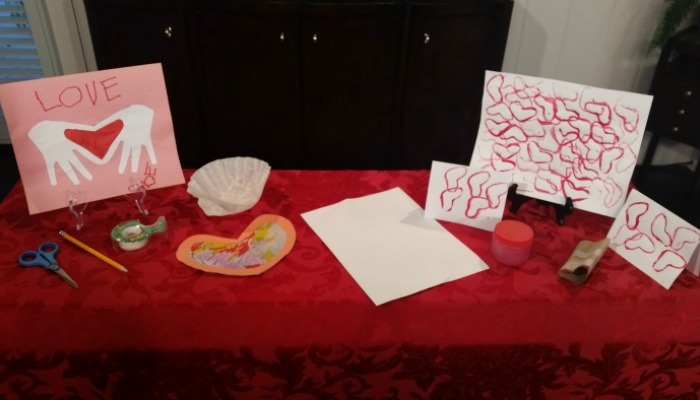 We made some Valentine’s Day cards with this craft as well as a big print of heart shapes. Super easy and my daughter had the most fun with this craft in particular. 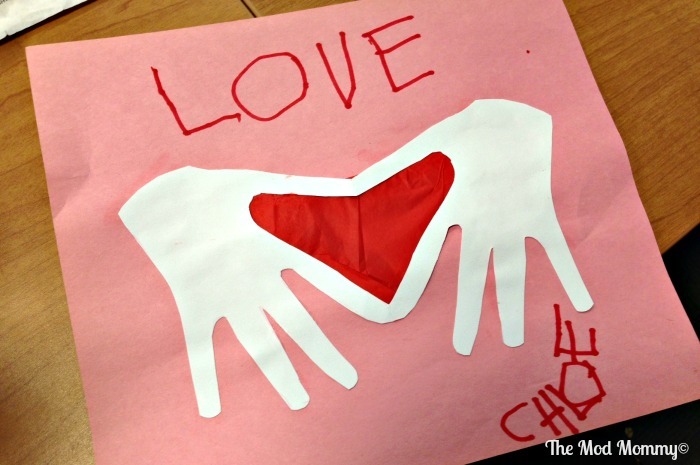 Trace your child’s hand on the paper with their thumb and index finger touching the crease, making a half a heart shape. Cut out the hand and when you open it, you’ll see two tiny hands joined together making a heart shape! This would make a great Valentine’s Day card or keepsake of your child’s tiny fingers. 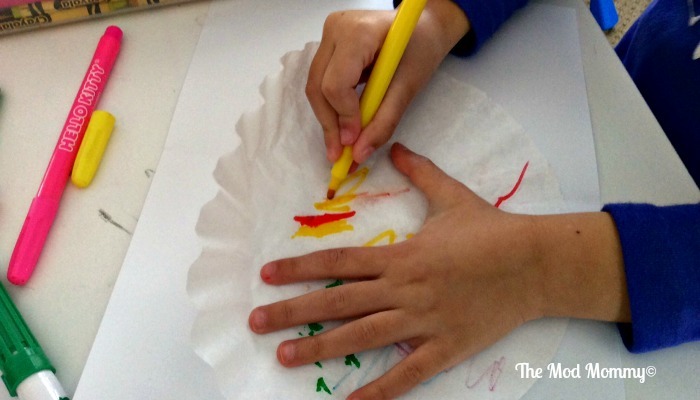 Let your child freely color the coffee filter using markers. Use the spray bottle filled with water to spritz the coffee filter. Tip: Don’t spray it too much or the colors with dilute. Allow the coffee filter to dry. 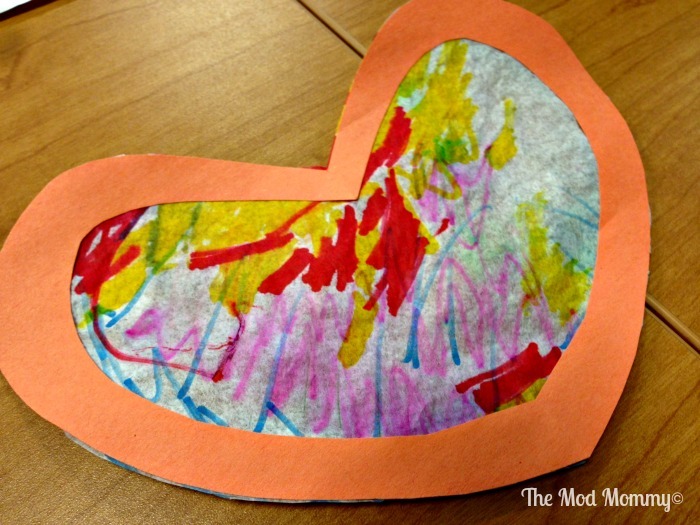 Take the construction paper and make a heart frame by cutting out a large heart and snipping out the middle. Glue the coffee filter to the back of your heart frame. Tip: You could use two heart frames if you want to display these in your windows so that both sides look the same.